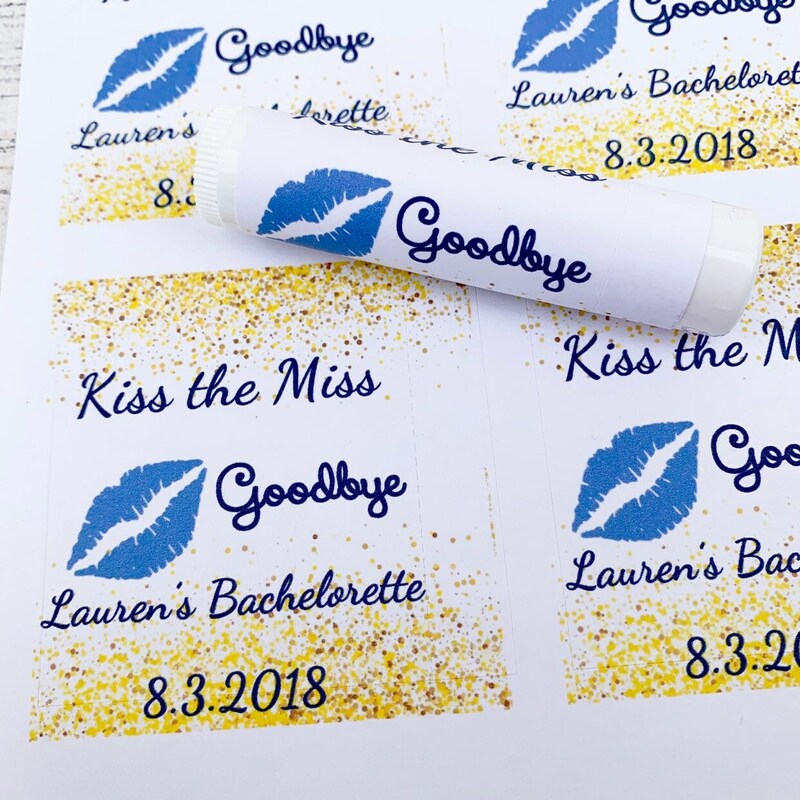 Chapstick Favors for any event! 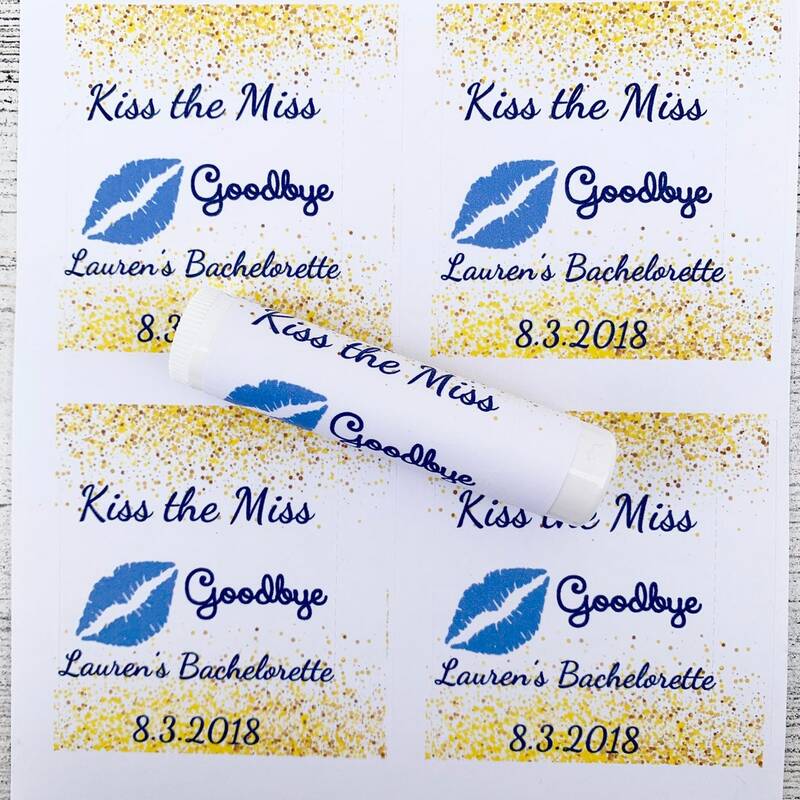 Great for bachelorette Parties!! The listing is for labels only. 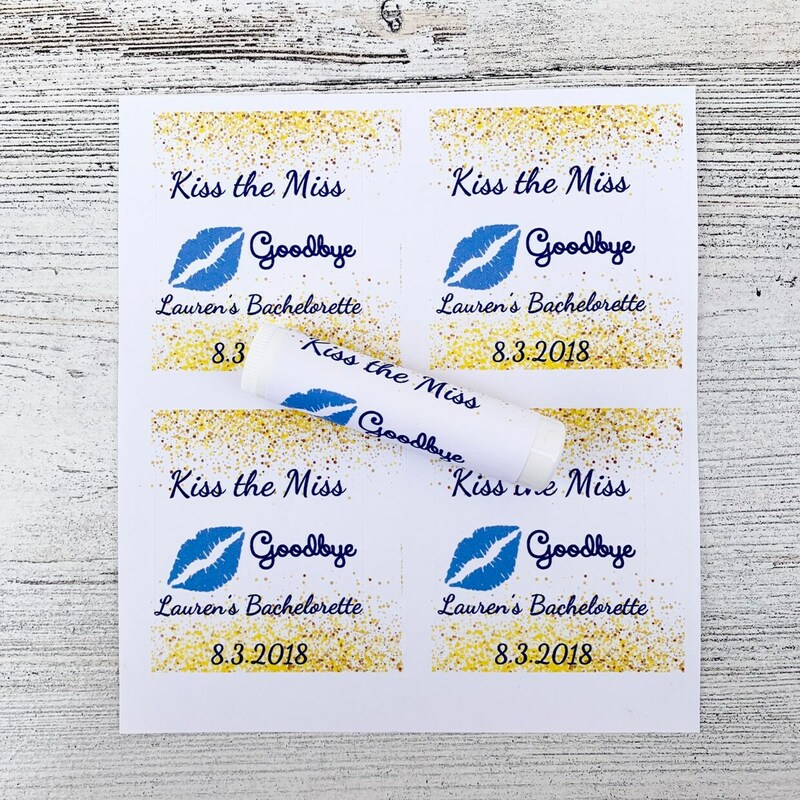 Search my shop for actual favors that come with labels. 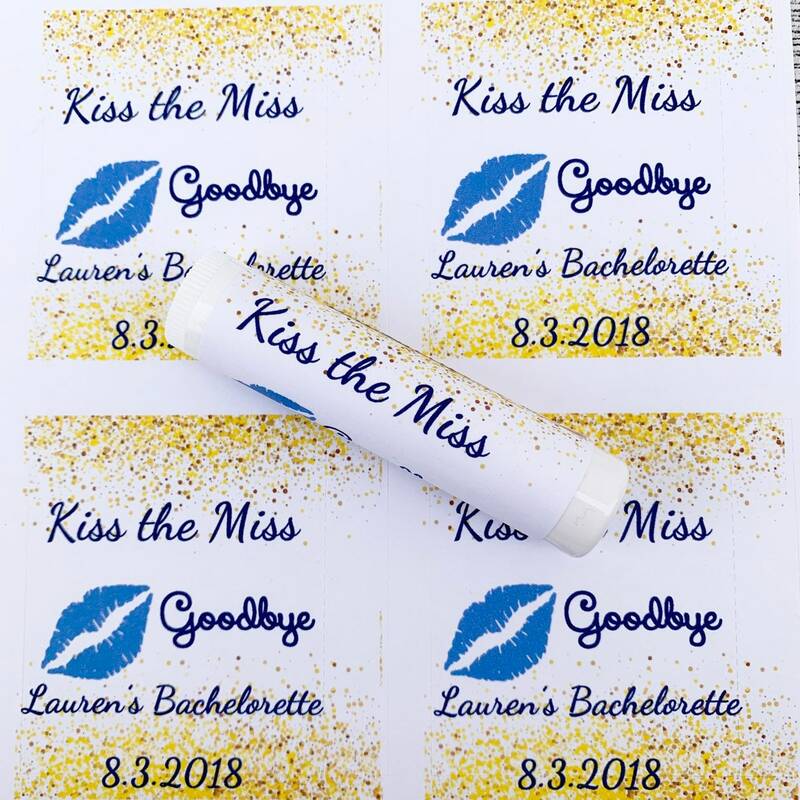 Pictured:Kiss the Miss goodbye! Alyssa’s bachelorette with date. I’ll send a proof Before printing so you can see, Just request this in the note section before check out :) If I don't receive a request, I will not know to send a proof. I have listed 3-5 days for shipping but this indicates that you will actually receive your items between 3-9days from your order. If you need these by a certain date, just let me know and I will make sure you get them!! Your satisfaction is most important!